Shoulder blade muscles need proper workouts not just for improving blood circulation but also for the growth of healthy shoulder muscles. Shoulder blade pain can result due to injury during workouts or poor circulation. With regular workouts and focus on the right training, it is possible to recover from injuries in the muscles. These exercises need to be done slowly and no undue pressure should be applied. It is always good to do the workout under the guidance of an expert. Frontal and also lateral raise is quite effective in toning your muscles of the shoulders. It helps in recovering from moderate injury. 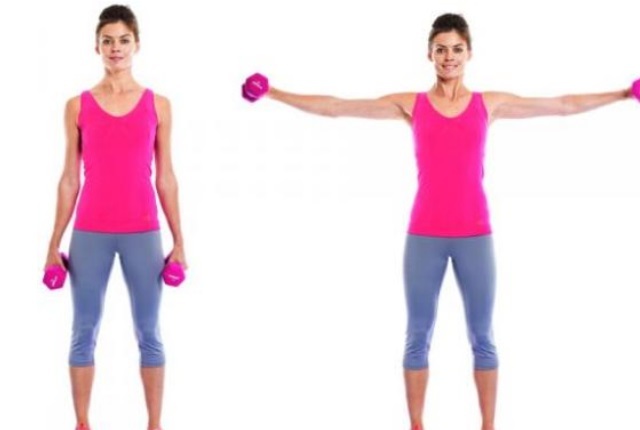 This simple workout can be done by simply taking dumbbells in each hand. These can be raised sideways and front also. Count 10 and take rest. This workout is quite simple and is like street dancing. This workout will help in loosening the joint of the shoulder, adding to your flexibility. You will keep your hands in the air and your elbow will be bent. You will be forming a 90-degree angle in the arms. Stay in this position for 10 seconds. You will then move your arms and flap them downwards as if you are dancing. This will be like driving the body upwards as you use the air in the room. As you do this section, you will feel great flexibility in the shoulder blade region. This workout will improve the blood circulation in the body and help in recovering from injuries. You can do presses in a number of ways – each of which is equally effective. 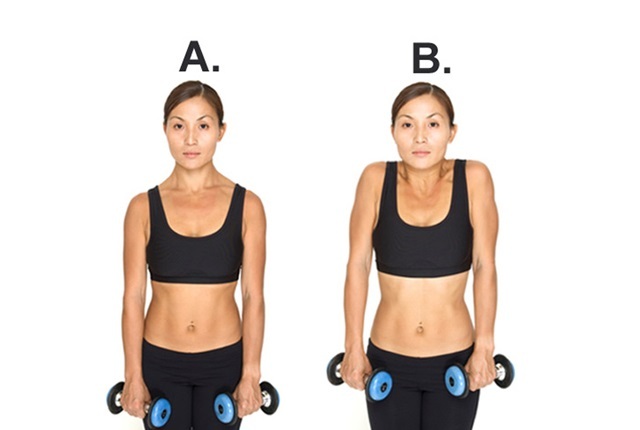 You can do presses in a seated, inclined or in a standing position. Each of the workouts will help in working out your shoulder muscles and will stabilize your body. To do presses, you will need dumbbells and also a bench for most positions, except the standing position. To do the shoulder press, you will take the dumbbells in your arms, keep them bent at the chest level and then press them overhead. The muscles which are overactive tend to hurt us the most. Stretching helps in improving the blood circulation, relaxes the muscles and helps in reducing the associated shoulder blade pain. To stretch, you will inter-clasp the fingers together. Slowly lean back and then hunch the upper back as much as you can. You need to push the hands away from you. Now look down. Stretching should be done in different angles. Keep moving so that you feel a pulling sensation the shoulder blade region. Until you feel the stretch, you need to keep changing the position. This is the best workout to promote shoulder mobility, especially those who suffer from mobility related problems. In the case of stiffness, shoulder blade muscles are strained further which can be more painful. 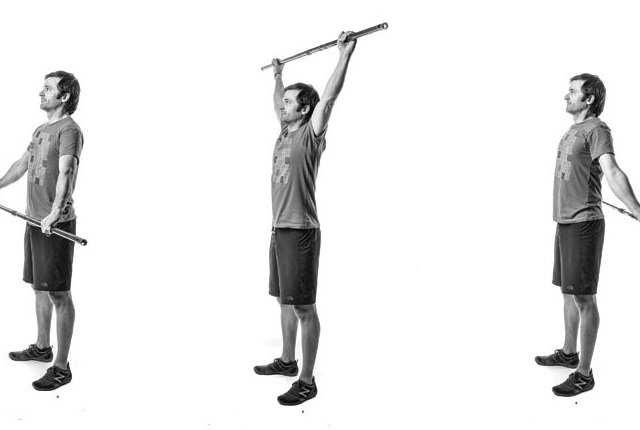 For this workout, place your hand behind, as much as you can go back. You need to pull the shoulders firmly backward. Hold on to this position for at least 60 seconds and then repeat three times at least. This will help in the recovery process. Shrugs are the simplest workout which can help you in recovering from all injuries in the shoulder blades. This involves upwards and then slow downward movement of shoulders. You need just two dumbbells and then put them by your side. You can lift your shoulders as you keep arms by your side. Lower again. Do this at least ten times. This will be one set. Do three sets at a time.